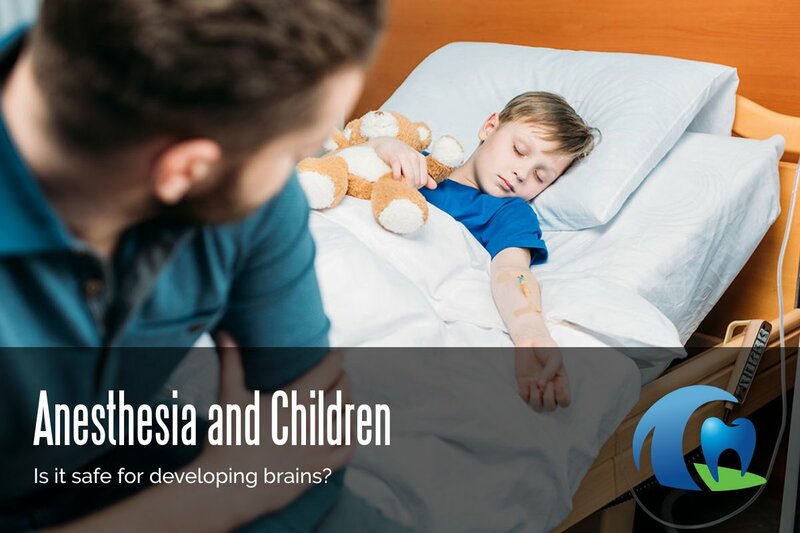 Parents and medical professionals alike are asking the question, “Is anesthesia safe for developing brains?” Parents want to ensure that anesthesia will not cause long-term issues for their child. Likewise, medical professionals want to ensure that they “do no harm.” This is a very complicated issue in that there has not been definitive research suggesting the safety of anesthesia and sedation for young children. In addition, there are no alternatives for children needing anesthesia and sedation for procedures. In late 2016, the U.S. Food and Drug Administration (FDA) issued a statement warning that use of sedation and anesthesia drugs, although necessary, has been shown to “cause loss of nerve cells in the brain” from sedation and anesthesia, especially when lasting longer than 3 hours or occurring multiple times before the age of 3 years. The FDA urged parents, caregivers, and professionals to discuss the risks of anesthesia in young children and pregnant mothers. The initial research that sparked the concern about anesthesia and children was related to fetal alcohol syndrome. Ethanol (alcoholic beverages) given to pregnant rodents and young rodents was shown to affect the NMDA and GABA receptors in the brain. Both of these receptors are known sites of action for sedative and anesthetic drugs. Further study into rodents and non-human primates showed that prolonged and multiple exposures to sedation and anesthesia drugs caused apoptosis in developing brains. Apoptosis is a programmed cell death that occurs when cells are injured. What drugs or medications cause the programmed death of brain cells to occur? Would this also occur in humans? If it did occur in humans, would it cause any long-term side effects? The major concern is that this includes all the medications capable of producing general anesthesia and sedation, including laughing gas that is commonly used at dental appointments with little to no concern. There are several major studies that have looked into the effects of sedation and anesthesia on children. The GAS study is an international randomized double-blinded clinical study. It compared infants having hernia repair under general anesthesia vs those infants having hernia repair under spinal anesthesia. Spinal anesthesia is the use of a local anesthetic in the spine to block feeling, much like a dentist uses local anesthesia to “freeze” the nerve or block feeling to the mouth. In this study, researchers assessed cognitive development at 2 years of age. The study found that the cognitive development of children having general anesthesia was the same as those that had only spinal anesthesia. The PANDA study looked at sibling pairs, one of which had general anesthesia before the age of 36 months and one that did not. The researchers followed and tested each of the sibling pairs learning and cognitive abilities. The PANDA study found no difference in the brain development between young children having anesthesia and those that did not. The use of sibling matched pairs helps to eliminate interfering factors with cognitive scores such as genetics, parenting, and environmental factors. The MASK study is the most recent and highly anticipated clinical study. The results were released on April 19, 2018. Nine hundred and ninety-seven children completed the IQ and cognitive testing. They divided the children into groups of those not exposed to anesthesia, exposed a single time, and exposed multiple times. The MASK study found that there was no difference in IQ and cognitive testing scores between any of the three groups. 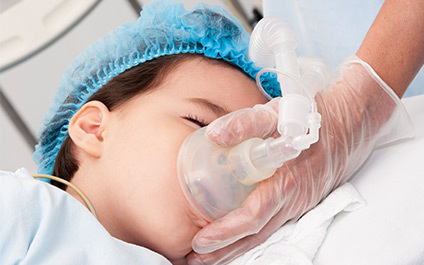 What Should Parents Do If Your Child Needs Anesthesia or Sedation? If your child needs anesthesia for an indicated or necessary procedure, then you should strongly consider proceeding. The FDA cautions that untreated conditions and pain may also cause nerve cell death. If possible, keep the anesthesia or sedation exposure to less than 3 hours and if possible one exposure. This is important when it comes to sedation dentistry, where children often need several sedation appointments. Often with very long acting oral sedatives such as Valium. Discuss the risks with your surgeon and anesthesiologist. If possible, consider delaying anesthesia until the age of 2-3 years as inferred from the studies above. Make sure that these issues are mentioned in the discussion of informed consent (for example, our anesthesia packet). When it comes to dentistry, prevention is the best medicine! Next Next post: What is a Pediatric Dentist?